A blast from the past, brought to the modern day. 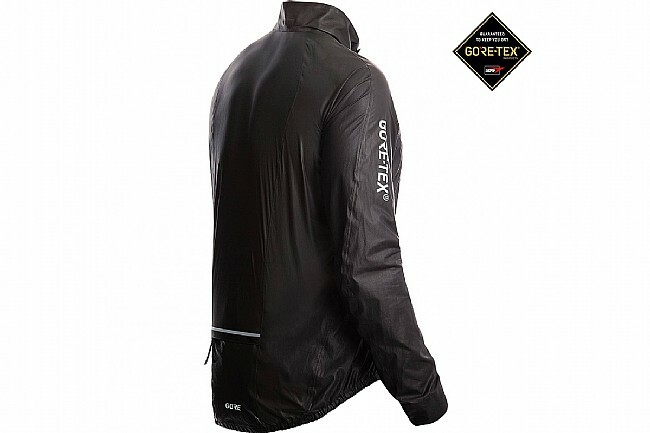 Honoring Gore's first ever GORE-TEX® jacket, setting the standard for performance rain gear all the way back in 1985, Gore's C5 Goretex Shakedry 1985 Jacket stands up to riding in the worst conditions. Lightweight, extremely breathable, durably waterproof, and windproof, the Goretex Shakedry 1985 jacket uses a revolutionary membrane construction to eliminate a face fabric, preventing the chilling effect most rain jackets have. Shakedry™ technology allows the water to quickly bead off the surface with a simple shake (or flap), resulting in a drier jacket, faster. The C5 Shakedry features a full-length 2-way front zip and a wider, comfortable cut that works well on the commute or on training rides. An adjustable collar features a hook-and-loop closure for the optimal fit and additional protection. 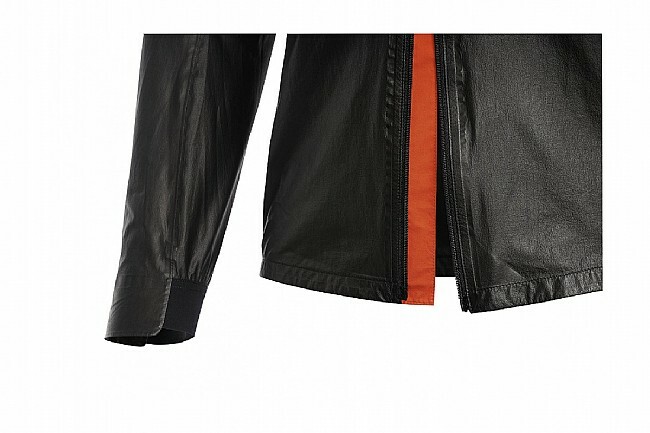 A frontal zip pocket adds storage on the bike, and doubles as a stow-away pocket for the jacket when not in use. 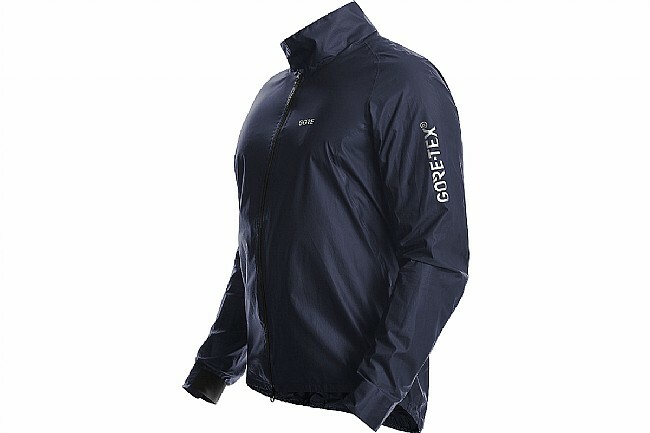 GORE-TEX® Active Product is lightweight, extremely breathable, durably waterproof, and windproof. 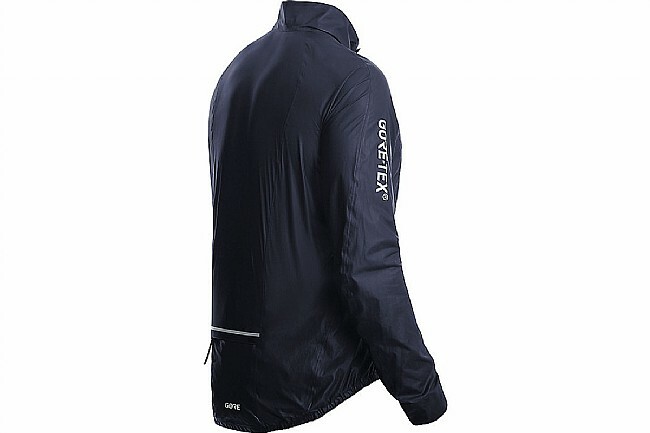 SHAKEDRY™ technology allows water to bead off the jacket, shaking or flapping dry. 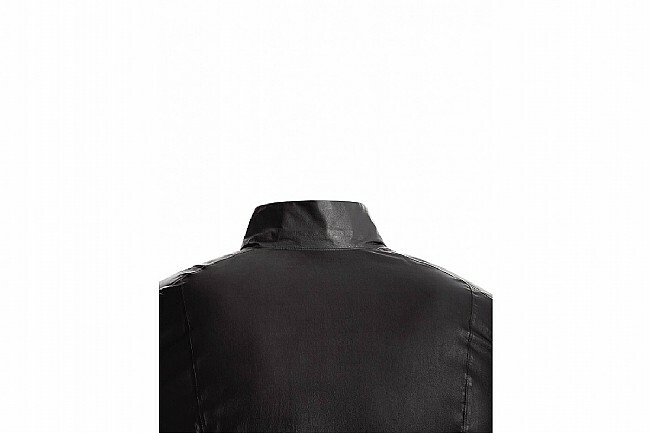 Adjustable, ergonomically shaped collar with hook-and-loop closure for optimum fit and protection. 2-way full length front zipper with zipper tags for easy opening. Reflective logos and reflective print on sides improve low-light visibility. Claimed weight: 116 grams (large). Bought this to replace a 5 year old Showers Pass Elite 2.0 rain jacket. Rode in a downpour for about one hour in 65-70 degrees. Did not overheat. I am 5-10 and around 175 lbs with a 39.5 chest and 32 waist. I am a randonneur which rides brevets (125 miles and up) in all weather and wanted a jacket that was light weight, windproof and breathable. This checks all of these boxes. Wish it had more reflective material though I wear a reflective vest in low light andor night time conditions. Also because the zipper has small teeth you must be careful zipping it up or it can get snagged. The rear pocket is very small and will not fit a Samsung Galaxy S7 cell-phone. Not much room for more than a license or a small energy bar or keys. Barely feels like you are wearing anything. I put it in a small 1-quart ziplock bag in either my jersey or my handlebar bag or saddlebag to keep it from rubbing against other things. We will see how durable it is over time. Decided to buy this as there was a 25% off sale. It really is shake dry and waterproof. The cut is a bit relaxed relative to other Gore garments and thus I did not have to go up one size. It still provides room for a long sleeve jerseythermal layer if needed. My jacket tipped the scales at 120g and easily fit into a jersey pocket. It is a bit of a challenge to fit into its own zip up pocket, but that is a minor issue. 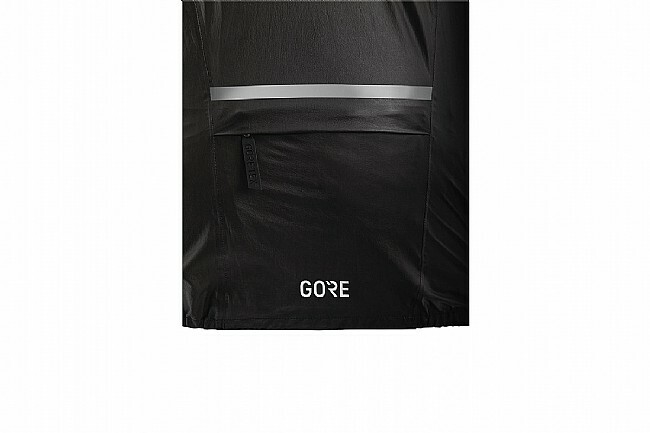 The logos on the sleeves are a bit over the top, but I am sure Gore is proud of what they accomplished. Pricey, but get it on sale. A great, high performance, light, waterproof layer.